﻿Texas is Suing The EPA claiming that the Restrictions on Carbon Dioxide and the assumptions of global warming are all based on ‘factually flawed’ data. The fraud is well documented. Much of the data has been humm .. eerr politically influenced. Texas is suing the EPA on the grounds that we are being subjected to carbon dioxide restrictions based on false fraudulent data. In other words the science is on trial. 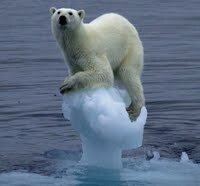 The IPCC has become the target of criticism from other climate scientists, with numerous revelations of sloppy research, junk science, and allegations of cronyism, lack of transparency, and attempts to suppress contradictory opinions in the research which contributed to the IPCC’s 2007 findings. “The IPCC had the objectivity, reliability, and propriety of its scientific assessments called into question after a scandal erupted late last year,” Abbott said. Previous PostBill Whites Evil TwinNext PostA New Republican Contract.